Inverness Village began as a vision for a new kind of senior living community. A group of civic leaders and business professionals recognized that Tulsa needed a place where older adults could live purposeful, vibrant lives with a secure plan for the future. After extensive research and planning, their vision of providing high quality residential living, unsurpassed hospitality services, and access to comprehensive healthcare services in an exceptional environment evolved into Inverness Village, a not-for-profit community offering a wellness lifestyle for people 55 and older. 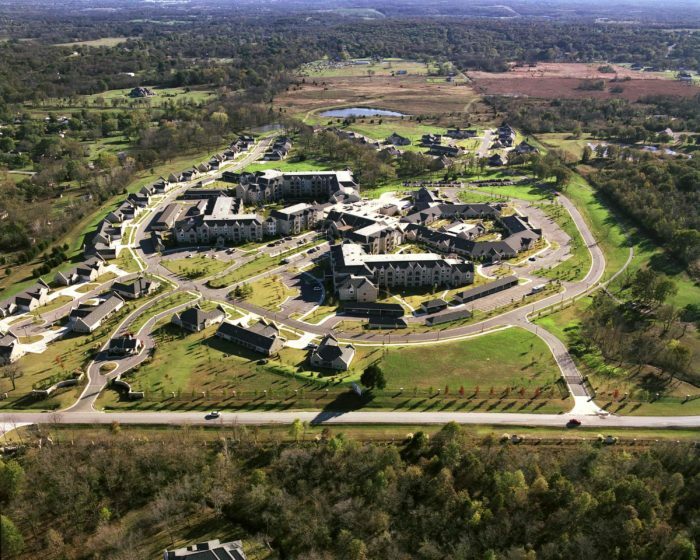 Wallace Engineering provided full civil design for the eighty-acre continuing care retirement community development. 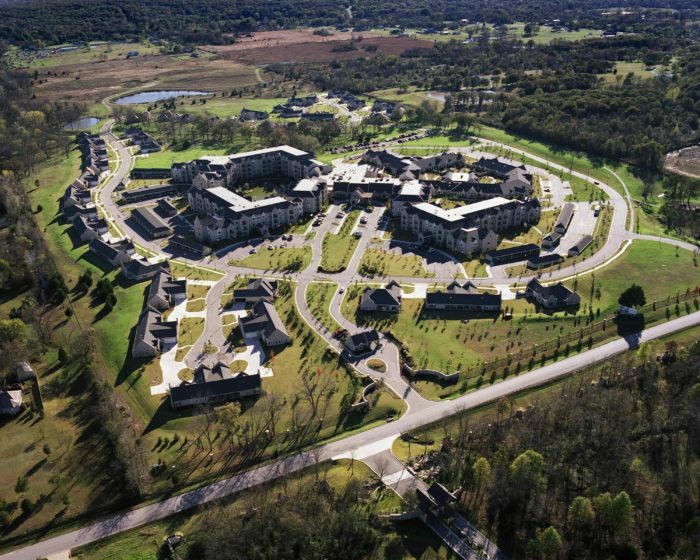 The site houses 250 independent living units, 100 garden apartments, sixty skilled nursing units, and thirty assisted living units. Wallace also evaluated drainage and on-site detention requirements for present and future development of the entire 190-acre site.